A great big 12ft, 700kg bronze surprise who goes by the name ‘Boris’. 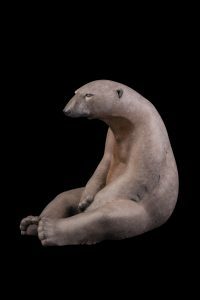 Created by artist Adam Binder, this sculpture of a polar bear will be chilling out (sorry) in Sloane Square for 28 days. Its aim is to draw attention to the face that these animals are facing extinction due to the effects global warming is having on their habitats.